Scientists have come up with an innovative approach to tackling Australia's poor vegetable intake, with the launch of a new app that challenges people to eat more veggies. 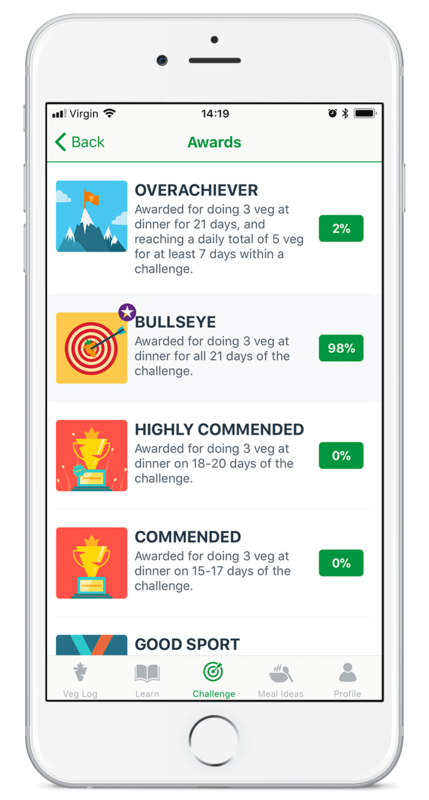 Using a gamified approach, CSIRO’s new VegEze app aims to motivate Australians to add extra vegetables to their daily diets and form long-term, healthier habits through a 21-day 'Do 3 at Dinner' challenge. CSIRO nutritionists will also study how effective the app's game-like nature is at helping transform people’s eating patterns, as part of a broader research study. "We need a fresh approach to improve Australia’s vegetable consumption and overall diet quality," CSIRO Senior Principal Research Scientist Professor Manny Noakes said. "Our research found two out of three Australian adults are not eating enough vegetables, especially as part of their evening meal. It's time to find more engaging, effective approaches to help break these entrenched diet habits." 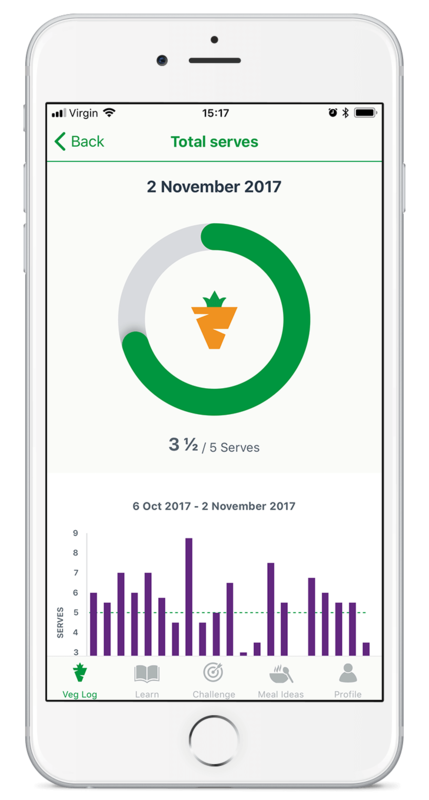 Challenging users to eat three different vegetables at dinner every day for 21 days, the VegEze app helps people track their intake and tally up vegetable serves, with daily reminders and rewards to help people stay motivated and on-track. "Committing to eating more vegetables every day is one of the most important ways we can improve our health today. Boosting your intake can be as easy as having three types of vegetables taking up half of your dinner plate," Professor Noakes said. 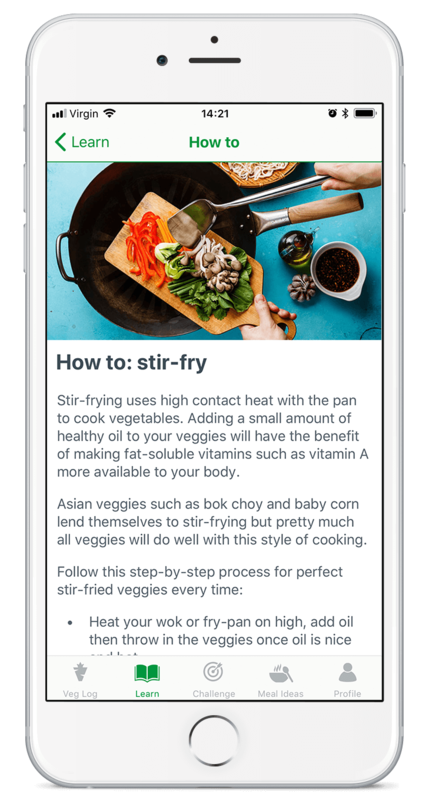 "After just a few weeks using the app every day, users should feel more confident in adding more vegetables to their menu and notice some positive changes to their health and wellbeing. 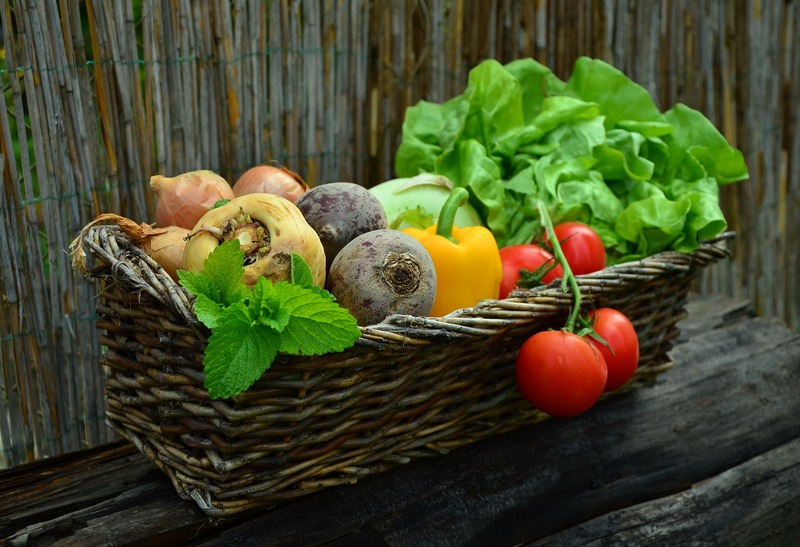 "The beneficial nutrients and fibre from vegetables can help improve digestion, and fill you up – which can help reduce eating too much unhealthy junk food." Since May 2015, CSIRO has studied the dietary habits of more than 191,000 adults for its Healthy Diet Score research. Eating three types of vegetables as part of the evening meal was found to be a key marker in having a better diet, but further research of 1068 adults showed some Australians were being held back from eating more vegetables by low awareness, lack of time and low confidence. 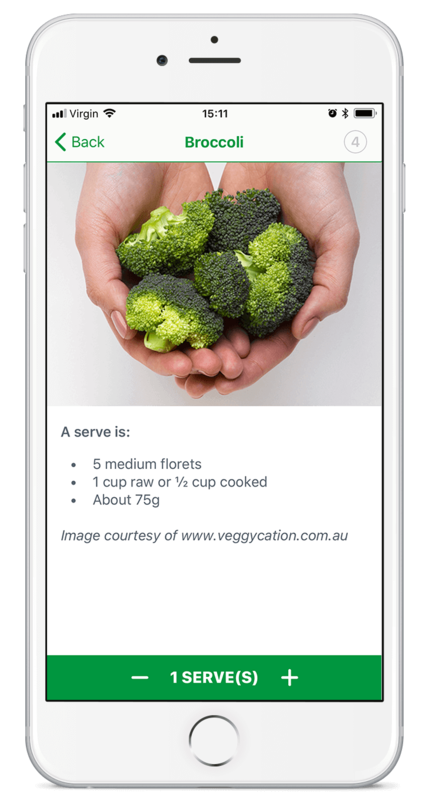 To help people overcome these barriers, the VegEze app features educational resources such as a visual guide to specific vegetable serve sizes, vegetable recipes, nutritional information and motivational rewards. Information from app users will feed back into CSIRO's study of Australians' vegetable consumption, while helping to analyse the app's effectiveness as an education initiative to improve Australia's poor vegetable score card. VegEze has been developed in partnership with Hort Innovation. Hort Innovation chief executive John Lloyd said the vegetable consumption findings from the initiative will help Australian farmers cater to the needs of consumers. "Consumer preferences are changing all the time – now it's pre-packed convenience foods, as well as veggies such as kale and sweet potato. In the not too distant future it could be something else consumers are enjoying," Mr Lloyd said. "Research such as that generated from this VegEze initiative helps growers stay ahead of trends, while also encouraging Australians to eat well using a wide selection of vegetable options." The technology was developed in Australia in collaboration with digital health solution provider SP Health. To try the 21-day Do 3 at Dinner challenge and participate in the research study, download the free VegEze app via the Apple App Store .